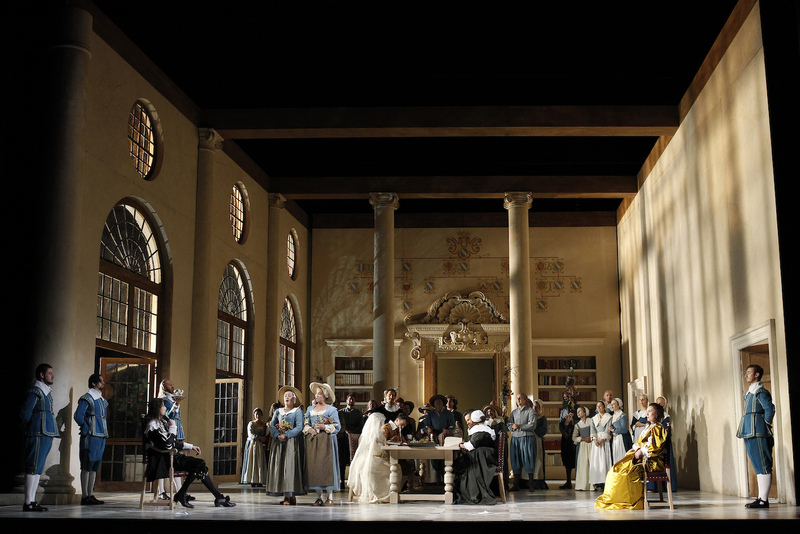 Played straight and true, characterful comedy The Marriage of Figaro is all the funnier. Listening to the rapturous music and watching the comic complications crescendo, Sir David McVicar’s authentic production allows the genius of Mozart and librettist da Ponte to be fully appreciated for the pure brilliance of its simplicity and elegance. 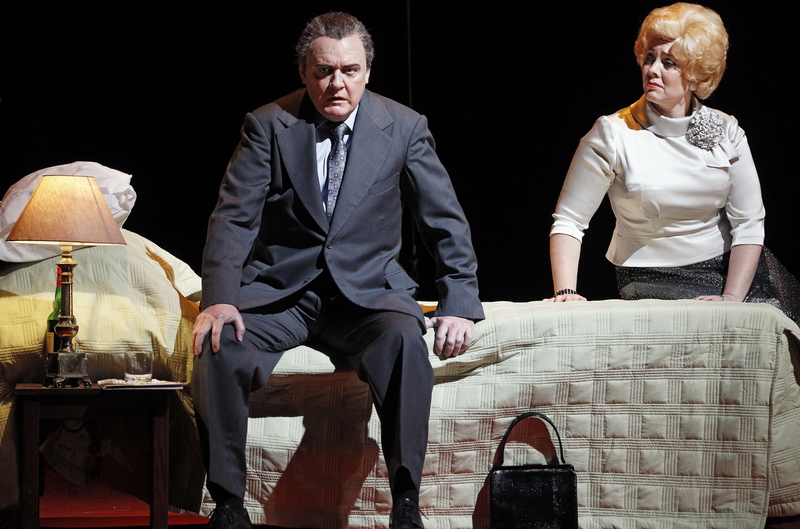 The second in McVicar’s Mozart-da Ponte trilogy of new productions for Opera Australia, The Marriage of Figaro is gentler than the darkly dramatic Don Giovanni but just as intriguing and affecting. Da Ponte’s artistic collaborators have created a natural, realistic setting for the 17th century action. David Finn’s ingenious lighting design has the large scale rooms illuminated by “natural” sources, with sunlight streaming in from off stage right as the balmy summer day progresses. Designer Jenny Tiramani channels this light through large arched windows, presenting a series of pastel coloured, lived-in rooms that grow more spacious across the four acts. A family tree mural on the wall of the act three library is but one example of the clever creative choices on show. The hazy moonlit finale is set on a grand verandah in front of an inky black garden that seems to stretch back forever. 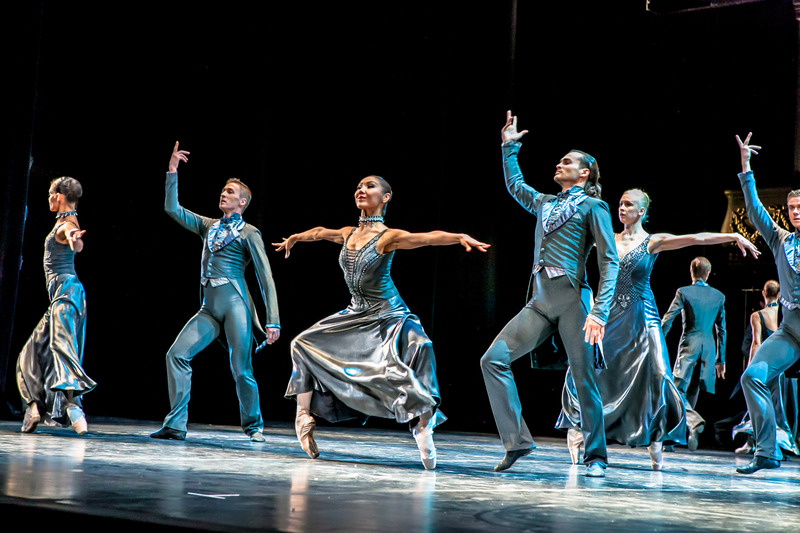 Tiramani’s costume designs include distinct, attractive servant livery in muted tones of cornflower blue. Marcellina and party arrive in forbidding black, and, in a nod to the dappled light, the Count and Countess both wear outfits of lustrous gold. Maestro Anthony Legge leads Orchestra Victoria in a nimble, delicate performance of the much-loved score, providing strong support of the singers. Recitative, accompanied with flair by Siro Battaglin on fortepiano, is brisk, fresh and easy to follow. A modest-sized ensemble provides appealing choral singing, ably prepared by acting chorus master Thomas Johnson. 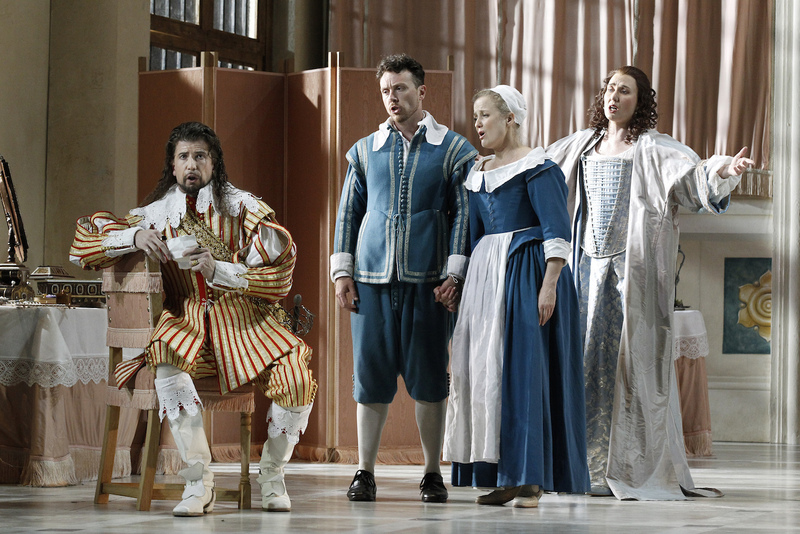 Mining da Ponte’s libretto for period and character details, McVicar has enhanced the very well-known opera with a host of insightful touches, presenting the merry court of characters as living, breathing humans. Arriving at Susanna’s door, we see the Count molest a meek maid before moving on to his intended prey. Meeting Cherubino, the Countess is visibly moved by his youthful beauty, and flirts harmlessly while Susanna is out of sight. Having relaxed with Susanna and Cherubino in her room, the Countess recomposes, and steels, herself for the entrance of the Count. In a clear illustration of the boundaries of class, Figaro forgets himself and angrily bangs the table to make a point to the Count, instantly regretting his brash display of emotion. McVicar’s insight, supported by revival director Andy Morton, ensures an entertaining evening for even the most familiar of operagoers. Additional enjoyment is derived from the camaraderie that emanates from the teamwork of the all-Australian lead cast. 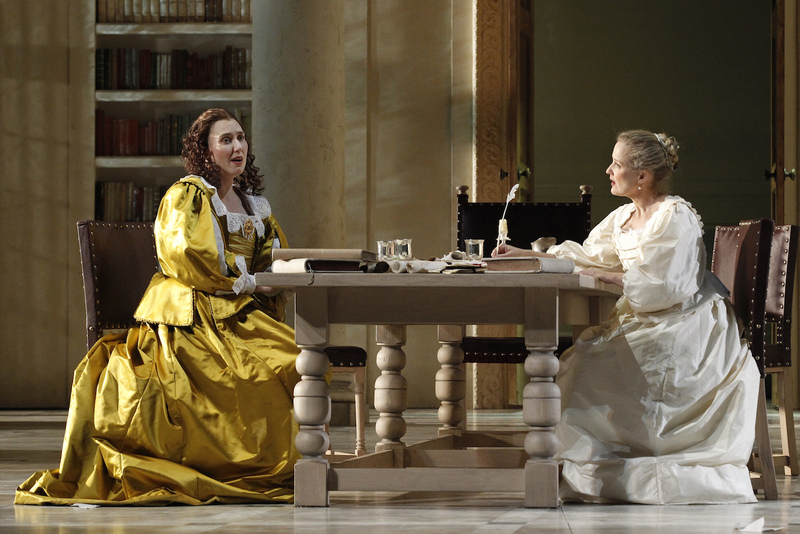 Longtime company member and Mozart specialist Taryn Fiebig shines again in this second Mozart/da Ponte presentation. With a similarly lovely performance in Così fan tutte next year, she may end up walking away with the entire series. Her golden hair up in a simple bun, Fiebig’s Susanna radiates loving warmth and measured cunning. Sung in front of the damask curtain in the glow of the evening’s only spotlight, Fiebig’s rendition of Susanna’s love call “Deh vieni, non tardar” is an intimate love-in between performer and audience. Shane Lowrencev, another local singer who was excellent in Don Giovanni, uses his imposing height to great advantage as Count Almaviva. Singing the role with comfortable ease, Lowrencev’s chief achievement here is the well-rounded portrayal of the Count’s underlying insecurity. Far from being a dastardly villain, Lowrencev’s Count seeks sexual conquests to assuage his self-doubt and gives in to societal pressure all too easily. 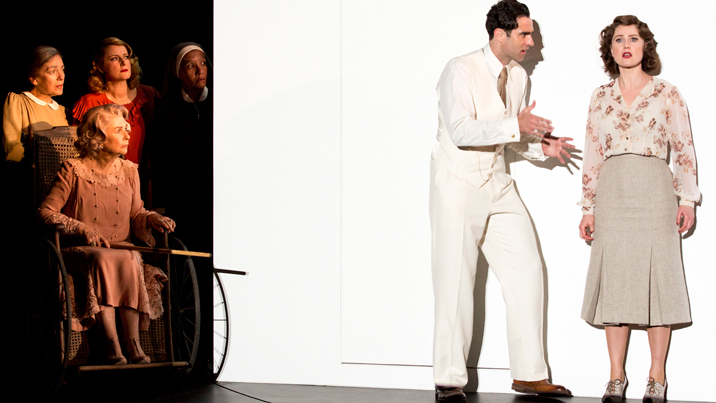 Andrew Jones proves a likeable Figaro, maintaining the character’s nimble juggling of calamities with effortless style. Highly valued company member Sian Pendry delivers another engaging performance, colouring the middle register of her luscious mezzo-soprano voice with a little extra depth to play virile young pageboy Cherubino. Pendry’s portrayal of the young man is so convincing that when Cherubino is dressed as a female it really appears quite uncomfortable and all the more amusing. Bass Adrian Tamburini proves there are no small roles as the outraged gardener. Petite soprano Eva Kong has a knowing sparkle in her eye as Barbarina, her silky soprano in fine form. 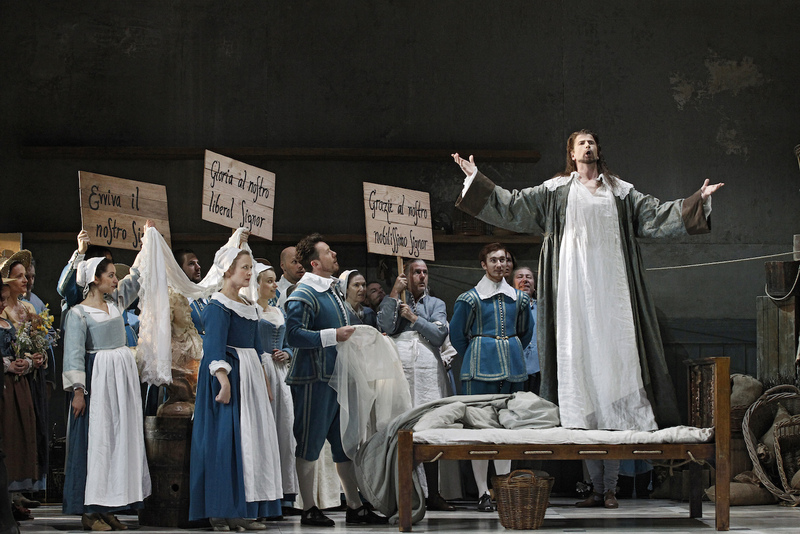 This is opera of the highest calibre, and is highly recommended for newcomers and longtime fans alike. 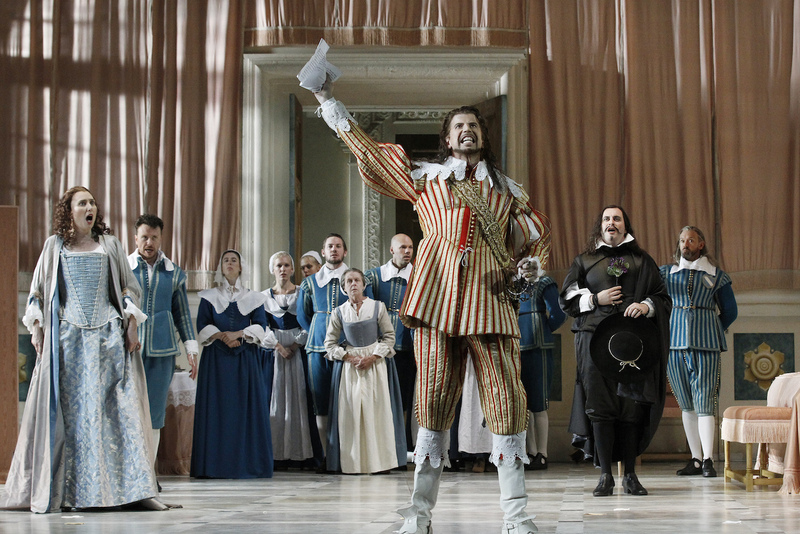 The Marriage of Figaro plays selected dates at State Theatre, Arts Centre Melbourne until 28 November 2015.